Pets, like humans, are prone to allergies especially at this time of year. Constant scratching, biting and licking are sure signs of a skin allergy, a more common ailment than one might think. Allergies cause great discomfort to your pets, leaving them with bald, bleeding patches and raised bumps or blisters on the skin. 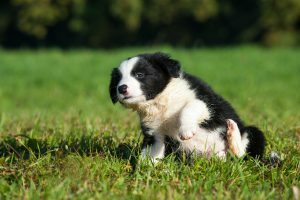 There are several possible causes but the most common, and the one vets see most often, are caused by flea bites. You might say ‘but my pet doesn’t have fleas!’ because you can’t see any but only adult fleas can be seen with the naked eye; and they make up only about 5% of the total flea population! Flea allergies usually present as redness and scratching of the tail, rump, neck and back area. If your pet is itching it is wise to apply a flea treatment as a first line of defence. Speak to your vet or Vetshop about a suitable flea prevention product. Pets can also be allergic to some types of food caused by the proteins in commercial pet foods. These present as redness and itching around the mouth, face and between the paws, or your pet may suffer from atopy, an allergic condition caused by inhaled allergens or absorption of allergens through the skin. Unfortunately, the more your pet scratches the more susceptible he/she becomes to secondary bacterial skin infections where bacteria attack the raw, exposed skin. This becomes itchier, more painful and this vicious cycle will ultimately lead to a severe skin infection commonly known as “hot spots”. Cats with too much or too little of certain hormones are prone to skin problems. Hormonal imbalances rarely cause itching but may point to more serious underlying problems that need to be identified and treated. Firstly, an itching pet should be taken to your vet for a full examination and diagnosis. Veterinary treatment options may include medication like cortisone, antihistamines and antibiotics and, of course, flea control. Your EberVet Vetshop stocks a wide range of flea products. Ask about Bravecto, Seresto, Nexguard or Revolution. If food allergy is suspected, your vet may recommend changing our pet’s diet. The right nutrition can help improve and restore your pet’s skin and coat and get him or her back to full health quickly. What is important is to feed your pet a food that manages to quickly regenerate skin that is damaged from skin conditions. One way to do this is to feed a food with high levels of Omega-6 fatty acids. The fatty acids help the lipids in the skin and are proven to help reduce the symptoms of skin conditions. However, you should know that with food trials it may take up to 8 weeks before improvement is seen so patience is needed. Most premium quality pet brands stock foods specifically targeting allergies. Add-on treatments such as essential fatty acids, and shampoos like Ricky Litchfield, are often recommended to keep itching under control. Your Vetshop stocks Vetsbrands DermoFocus oil containing the highest quality Omega 3s and 6s, which is particularly recommended if your dog suffers atopic dermatitis in summer. Start treatment well before spring. You need just a little sprinkled on his food each day. For treats, choose Ricky Litchfield biscuits containing all natural buchu. Allergies can be frustrating for you and your pet and there is rarely a total cure but the symptoms can be managed to give your pet a good quality of life.